Source: The author's publicist in return for an honest and unbiased review. First Sentence: Ascent...yes, ascent, he pondered, as he quietly relayed the melody in his mind. 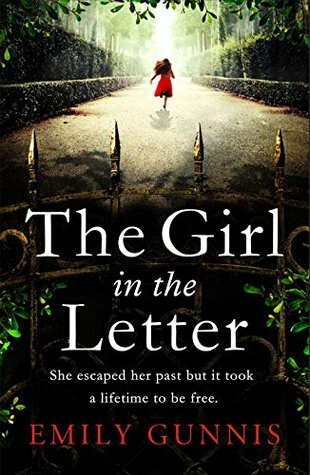 My Opinion: Having thoroughly enjoyed Megan's Game the debut novel from this author, I was delighted to be given the opportunity to read and review The Deal his second novel. This is a romantic thriller, a genre appeals to many, an easy read that keeps you turning the pages as the plot builds. The setting in the financial district and a publishing house I found of particular interest. The pressure is on for corporate financier Oliver Chatham. As the City languishes in recession, he is under contract to raise two million pounds for a publishing company. But it’s not only money at stake – if he is successful, Amanda Wavering, woman of his dreams and sister of the publishing house’s chief executive, will consummate their relationship; if he fails, no deal. Biography in the Author's own words, Courtesy of Goodreads. 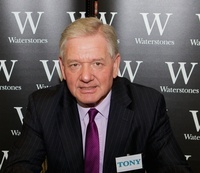 I was born in Birmingham and being the son of a Bank Manager I started my career in banking. In the 1960′s job security was very important. I joined the Midland Bank, Kidderminster, where I married the manager’s secretary Judy. I set-up ‘ProShare’ in the early 1990′s to help shareholders form Investment Clubs. On my 60th Birthday, I decided I needed a new hobby, something a bit less energetic. I started writing fiction, mainly because I’ve spent most of my life telling stories. 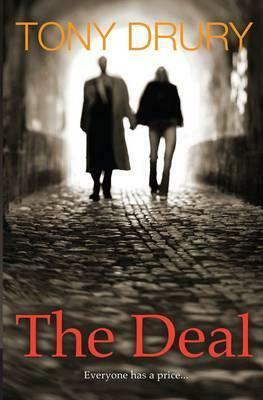 ‘Megan’s Game’ was my first book, which took five years to write and it was published in May 2012, followed by ‘The Deal’ in October 2012 and then ‘Cholesterol’ in June 2013. Very excited that my fourth novel ‘A Flash Of Lightning’ was released on the 21st November 2013 and most recently, 'The Lady Who Turned' was published in September 2014. Another film company in London has just bought the rights to my fourth novel 'A Flash Of Lightning' and is currently in development. Labels: Romantic Thriller, Tony Drury. How exciting to have the opportunity of seeing your book on the screen. It sounds like this one would be ideal for a screenplay.